Cincinnati Glass Block Co is part of R.G.F. Industries, Inc. We have locations in 5 cities and a National distribution and Installing Partner network. 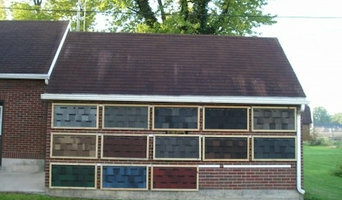 We specialize in installation, design, sales and wholesale distribution of glass block products. Our products are available throughout the United States through our network of distributors and installation professionals. Ansonia Lumber Company has been located at 300 Main Street, Ansonia, Ohio since 1909. G. H. Rehmert was part owner and manager at the time and he hired George Klipstine Sr. in 1921. G. H. Rehmert promoted George Klipstine Sr. to manager of the company December 8, 1921. George was succeeded by his son George Klipstine Jr. who built a solid company for his sons John and Bill Klipstine who managed the company to January 1, 2010. John and Bill Klipstine were succeeded by Todd and Tammy Klipstine and Krista and Tony Spence (Todd’s sister and brother in law) who are the current managers of the Ansonia Lumber Company. The company has grown from four employees to what it is today. Ansonia Lumber Company’s current customer offerings include Home Improvement, Agricultural Building, Kitchen, Bath, New and Replacement Windows and Doors and Design products and services. My name is Rick Wedding and I'm a building materials salesman by trade. My primary job is to provide building materials to homeowners and builders. In my free time I enjoy learning about new products and services in the building Industry. SCREENEZE® is a patented fixed screen porch system made in the USA. It allows you to span panels up to 150 sq ft. Easy to repair and replace damaged screens. Eliminate call backs. 10 Year Limited Warranty. Save money on labor & materials. 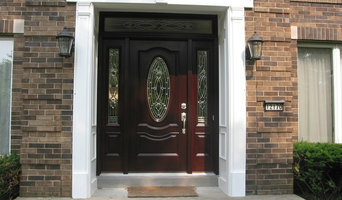 You can install on the inside, outside or center of your traditional porch design. Install using a variety of screen fabrics. Want to be listed as an installer or dealer on our website? Email lauren@screeneze.com for a request form. Epic International is your source for today's leading brands in the bicycle, sports/leisure and home/garden categories. We represent a diverse portfolio of products, promoting healthy living and family fun with the highest brand name recognition. Pure Granite & Stone, LLC is a family owned business that treats customers the way we would like to be treated. 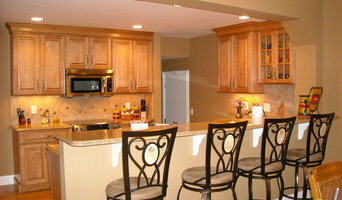 We employ a good old fashioned work ethic and the latest technology to create beautiful granite countertops. We are not afraid of the hard work it takes to produce quality workmanship and true customer satisfaction. We work with our customers to create an excellent experience throughout the entire process of granite and natural stone work whether it is in your home or work place. Pure Granite & Stone takes pride in our record of satisfying our customers ever since our humble beginnings back in 1989. Denny Joos has over 35 years in the counter top business and he will be happy to help. We are the leading North American producer of admired interior architectural veneers. Our veneers are used in contract building projects, residences, yachts, automobiles, aircrafts and on the finest furniture and fixtures. We slice over forty indigenous North American species, which are exported all over the world. In addition to domestic hardwoods, our imported species inventory is the largest and most unique in the United States. We also have a lumber inventory that contains imported species in both square edge and boule form. Our Fairfield, Ohio location devotes over 500,000 square feet to hardwood veneer, faces and imported lumber. Whether you seek several containers of veneer or an individual log, we are ready to help and advise you in your selection. With today’s emphasis on chemical-free and recyclable products, you may find an Ohio lumber supply company that specializes in salvaged, recycled and reclaimed wood. Reclaimed wood projects and applications can include custom interior walls, wide-plank flooring, barn wood sliding doors and more. 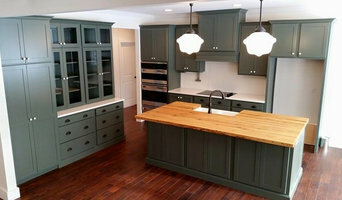 Find lumber and building supplies on Houzz. Narrow your search for Clayton, OH lumber supplies and building supplies by selecting the nearest city or zip code. Find trusted lumber companies and hardware suppliers with reviews from residential builders, interior designers and homeowners.